Under the Queensland Disaster Management Act 2003, council is required to establish and maintain a Local Disaster Management Group, which is responsible for managing disaster events within the local government area. 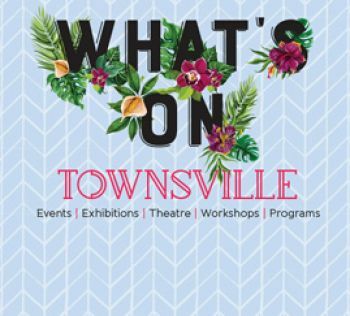 This page features details of the Townsville Local Disaster Management Group and the various Working Groups, which support it. The Townsville Local Disaster Management Group (TLDMG) is a multi-agency group established by council, which works to protect the community from the effects of disaster events in the local area. Other agencies and authorities as required (as Advisors). When a disaster occurs, the group is responsible for coordinating efforts and resources at the local level, as it is closest to the community and has a detailed knowledge of its environment. When the TLDMG exceeds its capacity to respond at a local level, or expends its resources, the group will seek assistance and support from higher levels of government. Asbestos Working Group – Responsible for the management of asbestos-contaminated material in disaster situations. Environmental Health Working Group – Responsible for the management of environmental health-related issues in disaster situations, including food safety, vector control, etc. Evacuation and Transport Working Group – Responsible for the management and coordination of the evacuation process if required for a disaster event. Local Recovery and Resilience Working Group – Responsible for management and coordination of information and resources relating to the recovery process at the local level. Magnetic Island Disaster Management Group – Responsible for the coordination of information and resources required to respond to a disaster event that has impacted the Magnetic Island community. Rollingstone Disaster Management Group – Responsible for the coordination of information and resources required to respond to a disaster event that has impacted the Rollingstone community. Shelters and Evacuation Centres Working Group – Responsible for the identification, activation and management of pre-impact shelters (i.e. Public Cyclone Shelters and Places of Refuge) and post-impact centres (i.e. Evacuation Centres). Townsville Aged Care Partnership Group – Responsible for the identification and addressing of issues, risks and areas for development relating to nursing homes and aged care facilities in the Townsville area.